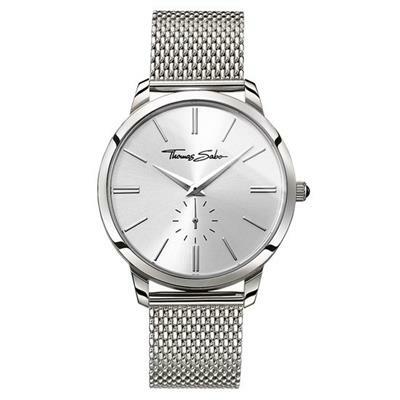 The classic stainless steel watch has an elegant Milanaise bracelet. The silver-coloured sunray dial is 42mm. For an extra detail, the crown is finished with a black onyx.